Nelson Turns 45! See More One-Hit Wonders Today! 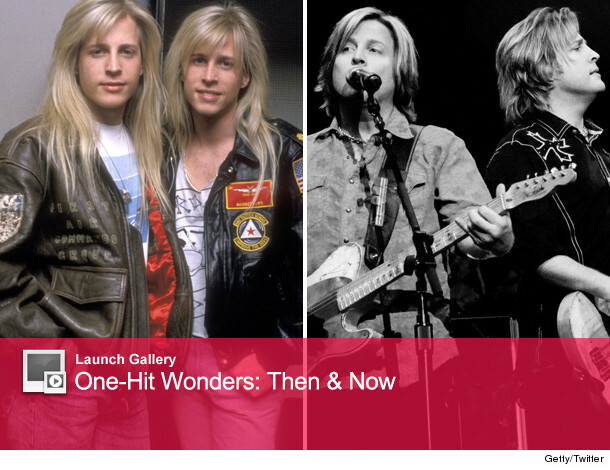 Twin rockers Matthew and Gunnar Nelson turn 45 years old today! The sons of "The Adventures of Ozzie and Harriet" star Ricky Nelson, Matthew and Gunnar rose to fame in the late '90s with their hit "(Can't Live Without Your) Love and Affection" and of course, their trademark flowing blond locks. Here's a fun fact about Nelson. They co-wrote "Two Heads are Better Than One," the theme song to "Bill and Ted's Excellent Adventure." Since the brothers were in talks to sign with Geffen Records at the time, they were recommended to be billed under a pseudonym -- Power Tool. "Problem Child" Cast Reunites -- See Them Then & Now!